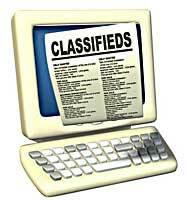 Place a FREE classified Listing? Private Classifieds are available from buyers wanting products, sellers with great deals, and special B2B classifieds from suppliers to manufactures and manufacturers to suppliers. Bang: 8 -8.5" Nape: 5"
Sultry, Ready To Wear lace front with a mono part. Day to play curls are ready to shake and wear. Some of your favorite stars have been seen in this look: Scarlett Johansson, Charlize Theron, Katherine Heigl, Keira Knightley, Jessica Alba, Victoria Beckham, Natalie Portman... Made with Naturlite, exclusive blend of certified synthetic fiber. We are a hair factory from China, We mainly produce Virgin Hair, 100% Human hair weaving, bulk, prebonded hair extension, lace wigs ,synthetic wigs and hairpieces, training head, hair extension tools, also we are researching and producing hair straighteners More details in private classifieds. I have a new wig design with a functioning prototype. The wig solves a huge problem that all wigs have lace front or not There are 5 key reasons customers will buy this product over and over again. For 8 years our company has been specializing in "Asian human hair". Our company deals only with 100% Natural Human Hair. 1) Asian (Uzbekistan) Human Hair. Our hair is not processed, virgin, with no nits. The hair is much better than Chinese or Indian. We can also make Human Hair Wigs of any type. Kosher Certified Wigs!!! High quality Custom Wigs!!! We will be very happy to discuss with you all of our terms and conditions , orders time and deliveries...etc... Call or email for more details anytime. Who is buying Wigs and Hair Pieces today? Are the majority of the applicants all ready in business or are they just starting out? Are they looking for Caucasian products or ethnic products? What quality of products are they looking for? How you can receive about 100 quality buying leads each month from buyers. 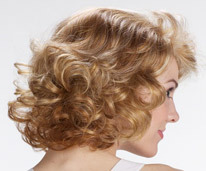 Offering: Synthetic and Human hair wigs up to 50% off SALE! 2. You have points, You can use any time off. 5. excellent dealer will received Sale flyer, brusher, banner, sign, etc..
4. You'll purchase by dealer price. I am interested in purchasing your overstock and unsold wigs and hair pieces. This is an ideal way for wig salons and shops to sell of products that they don't just want sitting there but can't return to the manufacturer. Also, we will liquidate your shop if you are going out of business or retiring. We buy new wigs and pieces still in the box but will consider display items if in new condition. We will not consider used wigs, wig with no labels, wigs that have obviously been tried on by many customers etc.